Storage bridges come in many varieties within the internal and external market segments. On the external side, they usually have one or more downstream SATA ports. The most popular uplink port is some sort of USB connection. Within the USB storage bridge market, device vendors have multiple opportunities to tune their product design for specific use-cases. 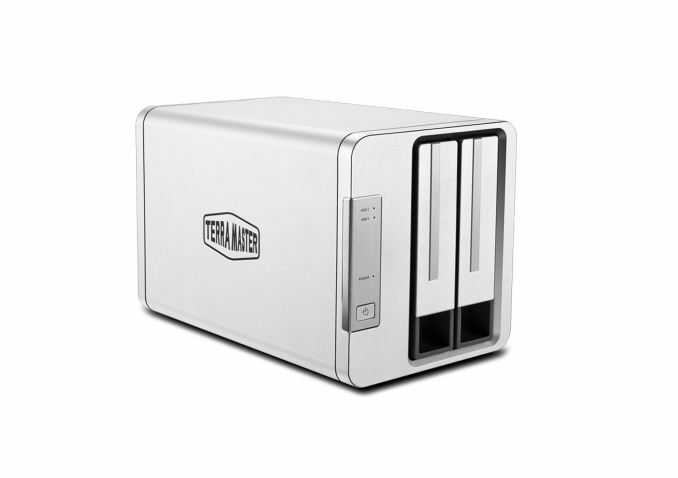 Today's review will take a look at TerraMaster's D2-310, a 2-bay direct-attached storage device. It can accommodate either 2.5" or 3.5" drives, and connects to the computer using a USB 3.1 Gen 2 Type-C port. It is externally powered using a 40W adapter. A Type-C to Type-A cable is bundled with the unit. Screws for installing both 2.5" and 3.5" drives are supplied. Almost all multi-bay direct-attached storage devices come with hardware RAID. The D2-310 is no different. Internally, the product uses the ASMedia ASM1352R to bridge the two SATA ports to a USB 3.1 Gen 2 port. The bridge chip also comes with hardware RAID capabilities, and the D2-310 has a rotary switch in the rear panel (near the Type-C port) to select the required configuration. 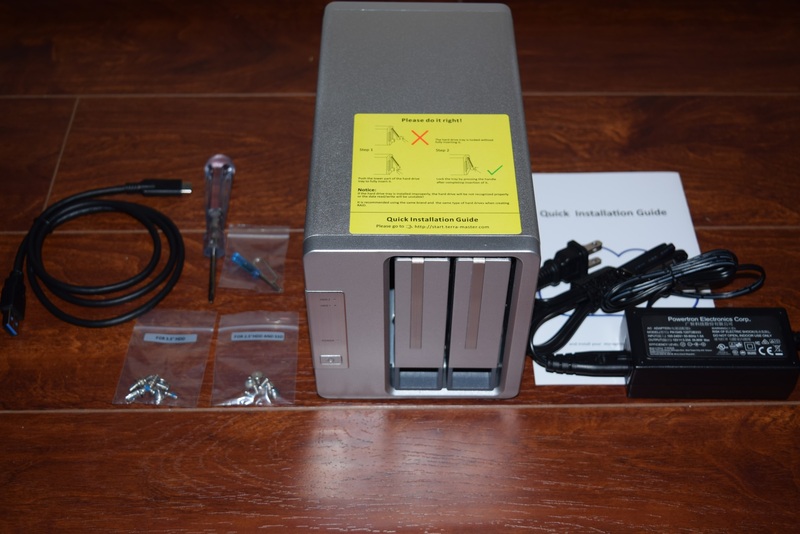 The device doesn't need to be power cycled when the RAID configuration is changed by the user. Instead, the 'Reset' button needs to be pressed for 5 seconds in order to create a new RAID volume with the selected configuration. Tools for attaching the drives as well as modifying the rotary switch position and activating the reset button are provided in the accessory package. In the rest of the review, we evaluate the above aspects and also look into the performance of the unit. The table below presents the detailed specifications and miscellaneous aspects of the units and how they compare. i have it for a few month now and it´s great fro teh price. thought there is one issue. they go to sleep to fast (after ~10 minutes). there is a FW update now that they never go to sleep.. not perfect either.